Based on the 2000 census projections, by 2030 New Mexico will move from 39th in the nation to 4th in the percentage of people older than 65. EngAGE New Mexico is designed to increase awareness and funding support for New Mexico’s growing aging population. Con Alma Health Foundation is leading EngAGE New Mexico. 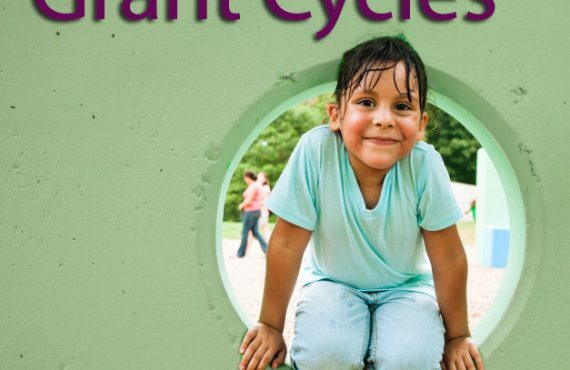 The project goal is to increase funders’ awareness of aging issues and build a coalition of funders that would enhance the impact of grantmaking to better support New Mexico’s aging population. The project is also interested in identifying ways to increase partnerships between public and private sectors to make New Mexico a model aging-friendly state, including developing advocacy positions and pushing for reform on behalf of the senior population. New Mexico is projected to experience a rapid growth in the percent of its population over 65, moving it from a state with one of the lowest percentages of elders to having one of the highest by the year 2030 (2012 Census). EngAGE New Mexico’s goal is to increase funders’ awareness of aging issues and build a coalition of funders that would enhance the impact of grantmaking to better support New Mexico’s aging population. The project is also interested in identifying ways to increase partnerships between public and private sectors to make New Mexico a model aging-friendly state, including developing advocacy positions and pushing for reform on behalf of the senior population. 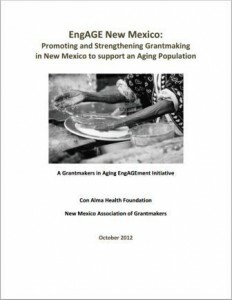 EngAGE New Mexico: Promoting and Strengthening Grantmaking in New Mexico to support an Aging Population from Con Alma on Vimeo. 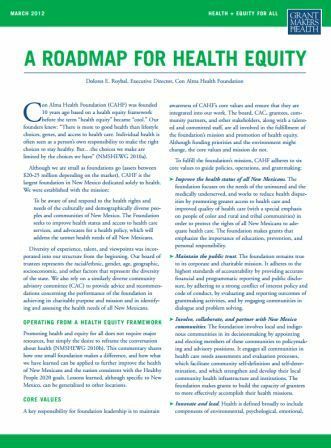 Con Alma Health Foundation's Roadmap for Health Equity shares how one small foundation can make a difference, and how what we have learned can be applied to further improve the health of New Mexicans and the nation consistent with the Healthy People 2020 goals.